Wow. This is quite something. Thanks Curtis, Thanks Hollywood Foreign Press and thank my band, thank my record company and everybody in my family. That’s about it, really. Bob Dylan accepts a Golden Globe Award in the category "Best Original Song" for Things Have Changed from the film Wonderboys. Monica Belluci and Phil Collins present the award. Stereo TV recording, 1 minute. Session created 7 December 2015. Concert # 1278 of The Never-Ending Tour. First concert of the 2001 Tour of Japan. First 2001 concert. Concert # 183 with the 12th Never-Ending Tour Band: Bob Dylan (vocal & guitar), Charlie Sexton (guitar), Larry Campbell (guitar, mandolin, pedal steel guitar & electric slide guitar), Tony Garnier (bass), David Kemper (drums & percussion). 1–6, 15, 17, 19 acoustic with the band. 1, 6, 19 Larry Campbell & Charlie Sexton (backup vocals). LB-numbers for this concert: LB-2603, LB-5815. Band introduction before Leopard-Skin Pill-Box Hat. 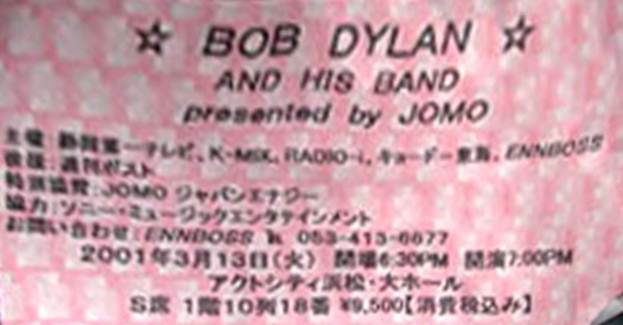 First Bob Dylan concert in Omiya, Japan. Session info updated 29 September 2012. Concert # 1279 of The Never-Ending Tour. Second concert of the 2001 Tour of Japan. Second 2001 concert. Concert # 184 with the 12th Never-Ending Tour Band: Bob Dylan (vocal & guitar), Charlie Sexton (guitar), Larry Campbell (guitar, mandolin, pedal steel guitar & electric slide guitar), Tony Garnier (bass), David Kemper (drums & percussion). 1–6, 15, 17, 18 acoustic with the band. 4, 5, 11 Bob Dylan (harmonica). 1, 6, 17, 18 Larry Campbell & Charlie Sexton (backup vocals). LB-numbers for this concert: LB-3904, LB-7461. 7 new songs (38%) compared to previous concert. 7 new songs for this tour. Concert # 1280 of The Never-Ending Tour. 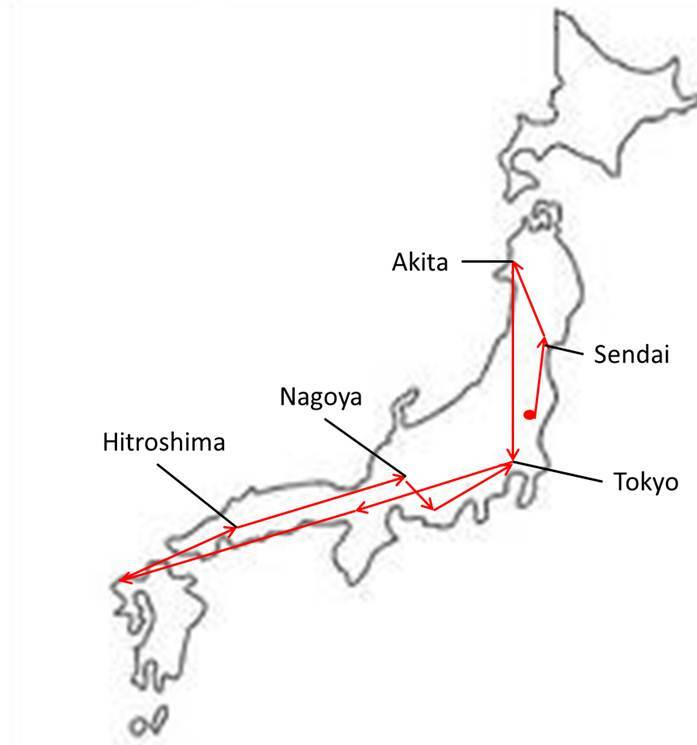 Third concert of the 2001 Tour of Japan. Third 2001 concert. Concert # 185 with the 12th Never-Ending Tour Band: Bob Dylan (vocal & guitar), Charlie Sexton (guitar), Larry Campbell (guitar, mandolin, pedal steel guitar & electric slide guitar), Tony Garnier (bass), David Kemper (drums & percussion). 1, 6, 9, 19 Larry Campbell & Charlie Sexton (backup vocals). LB-numbers for this concert: LB-3905, LB-7471. Band introduction during Leopard-Skin Pill-Box Hat. No harmonica played at this show! 8 new songs (42%) compared to previous concert. 5 new songs for this tour. Concert # 1281 of The Never-Ending Tour. Concert # 4 of the 2001 Tour of Japan. 2001 concert # 4. Concert # 186 with the 12th Never-Ending Tour Band: Bob Dylan (vocal & guitar), Charlie Sexton (guitar), Larry Campbell (guitar, mandolin, pedal steel guitar & electric slide guitar), Tony Garnier (bass), David Kemper (drums & percussion). 1–3, 7, 8, 11, 15, 17, 19 acoustic with the band. 10, 11 Bob Dylan (harmonica). LB-numbers for this concert: LB-3906, LB-4606, LB-7474. The strict division of the main set into an acoustic part and an electric part is abandoned from this show on. First time Larry Campbell played fiddle on If You See Her, Say Hello. 10 new songs (52%) compared to previous concert. 5 new songs for this tour. Session info updated 14 May 2016. Concert # 1282 of The Never-Ending Tour. Concert # 5 of the 2001 Tour of Japan. 2001 concert # 5. Concert # 187 with the 12th Never-Ending Tour Band: Bob Dylan (vocal & guitar), Charlie Sexton (guitar), Larry Campbell (guitar, mandolin, pedal steel guitar & electric slide guitar), Tony Garnier (bass), David Kemper (drums & percussion). 1–4, 9, 10, 15, 17, 19 acoustic with the band. 11, 17 Bob Dylan (harmonica). 1, 19 Larry Campbell & Charlie Sexton (backup vocals). LB-numbers for this concert: LB-3902, LB-4628. Band introduction before Like A Rolling Stone. 11 new songs (57%) compared to previous concert. 7 new songs for this tour. Concert # 1283 of The Never-Ending Tour. 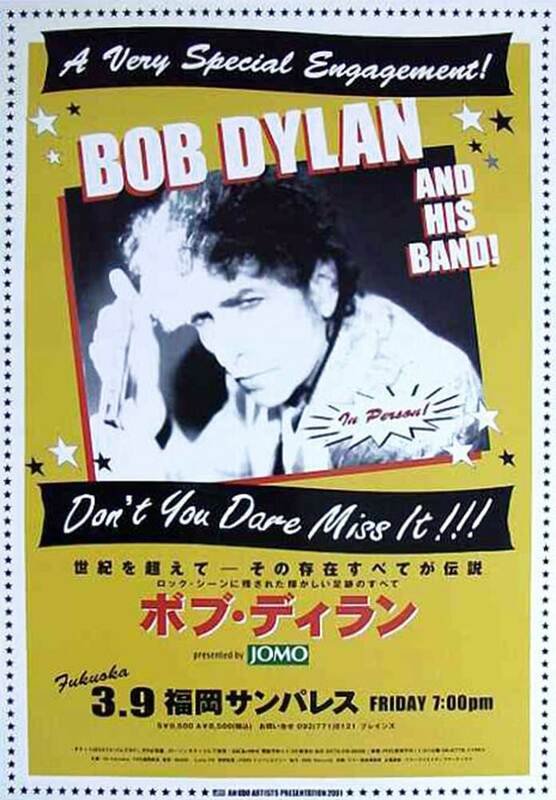 Concert # 6 of the 2001 Tour of Japan. 2001 concert # 6. Concert # 188 with the 12th Never-Ending Tour Band: Bob Dylan (vocal & guitar), Charlie Sexton (guitar), Larry Campbell (guitar, mandolin, pedal steel guitar & electric slide guitar), Tony Garnier (bass), David Kemper (drums & percussion). 1–3, 7– 9, 15, 17, 19 acoustic with the band. 1, 17, 19 Larry Campbell & Charlie Sexton (backup vocals). LB-numbers for this concert: LB-3649, LB-4674. 10 new songs (52%) compared to previous concert. 7 new songs for this tour. Concert # 1284 of The Never-Ending Tour. Concert # 7 of the 2001 Tour of Japan. 2001 concert # 7. Concert # 189 with the 12th Never-Ending Tour Band: Bob Dylan (vocal & guitar), Charlie Sexton (guitar), Larry Campbell (guitar, mandolin, pedal steel guitar & electric slide guitar), Tony Garnier (bass), David Kemper (drums & percussion). 7, 11 Bob Dylan (harmonica). 1, 5, 19 Larry Campbell & Charlie Sexton (backup vocals). Osaka Tapes. Euro Boots EB-86/2. Tears Of Rage. Sylph 2CD. 10 available on bobdylan.com October 2001. LB-numbers for this concert: LB-0987, LB-4840, LB-9633. 13 new songs (68%) compared to previous concert. 7 new songs for this tour. Concert # 1285 of The Never-Ending Tour. Concert # 8 of the 2001 Tour of Japan. 2001 concert # 8. Concert # 190 with the 12th Never-Ending Tour Band: Bob Dylan (vocal & guitar), Charlie Sexton (guitar), Larry Campbell (guitar, mandolin, pedal steel guitar & electric slide guitar), Tony Garnier (bass), David Kemper (drums & percussion). 1–3, 7– 9, 15, 17 acoustic with the band. 1, 17 Larry Campbell & Charlie Sexton (backup vocals). LB-numbers for this concert: LB-0988, LB-5042, LB-7512. Band introduction during Rainy Day Women #12 & 35. Concert # 1286 of The Never-Ending Tour. Concert # 9 of the 2001 Tour of Japan. 2001 concert # 9. Concert # 191 with the 12th Never-Ending Tour Band: Bob Dylan (vocal & guitar), Charlie Sexton (guitar), Larry Campbell (guitar, mandolin, pedal steel guitar & electric slide guitar), Tony Garnier (bass), David Kemper (drums & percussion). LB-numbers for this concert: LB-0038, LB-2536, LB-3836, LB-4224, LB-5255. Band introduction during Highway 61 Revisited. 12 new songs (63%) compared to previous concert. 5 new songs for this tour. Concert # 1287 of The Never-Ending Tour. Concert # 10 of the 2001 Tour of Japan. 2001 concert # 10. Concert # 192 with the 12th Never-Ending Tour Band: Bob Dylan (vocal & guitar), Charlie Sexton (guitar), Larry Campbell (guitar, mandolin, pedal steel guitar & electric slide guitar), Tony Garnier (bass), David Kemper (drums & percussion). 1, 8, 17, 19 Larry Campbell & Charlie Sexton (backup vocals). Land Beyond The Sun, Anaconda 2CD. LB-numbers for this concert: LB-2581, LB-4225, LB-5302. 12 new songs (63%) compared to previous concert. 3 new songs for this tour. Concert # 1288 of The Never-Ending Tour. Concert # 11 of the 2001 Tour of Japan. 2001 concert # 11. Concert # 193 with the 12th Never-Ending Tour Band: Bob Dylan (vocal & guitar), Charlie Sexton (guitar), Larry Campbell (guitar, mandolin, pedal steel guitar & electric slide guitar), Tony Garnier (bass), David Kemper (drums & percussion). 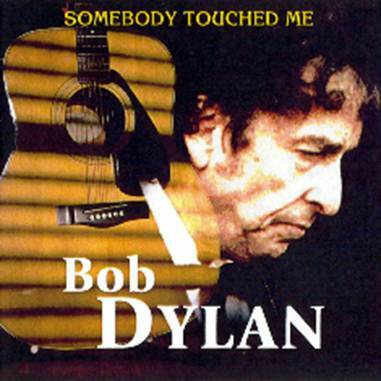 Somebody Touched Me. Megadisc 2CD. LB-numbers for this concert: LB-2602, LB-5337. 12 new songs (63%) compared to previous concert. 6 new songs for this tour. Session info updated 15 May 2016. Concert # 1289 of The Never-Ending Tour. Concert # 12 of the 2001 Tour of Japan. 2001 concert # 12. Concert # 194 with the 12th Never-Ending Tour Band: Bob Dylan (vocal & guitar), Charlie Sexton (guitar), Larry Campbell (guitar, mandolin, pedal steel guitar & electric slide guitar), Tony Garnier (bass), David Kemper (drums & percussion). LB-numbers for this concert: LB-0471, LB-5370, LB-10214. 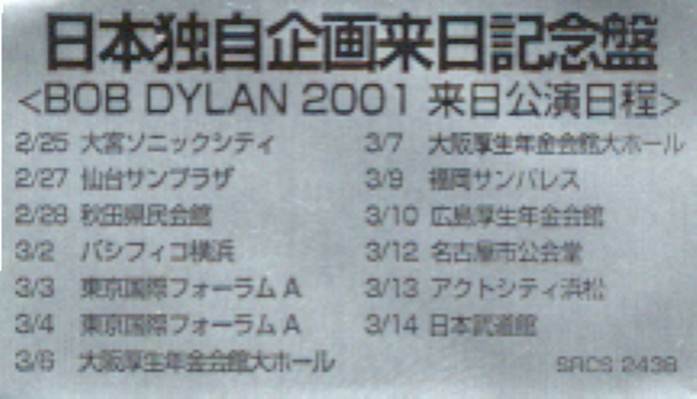 First Bob Dylan concert in Hamamatsu, Japan. 10 new songs (58%) compared to previous concert. 2 new songs for this tour. Concert # 1290 of The Never-Ending Tour. Concert # 13 of the 2001 Tour of Japan. 2001 concert # 13. Concert # 195 with the 12th Never-Ending Tour Band: Bob Dylan (vocal & guitar), Charlie Sexton (guitar), Larry Campbell (guitar, mandolin, pedal steel guitar & electric slide guitar), Tony Garnier (bass), David Kemper (drums & percussion). Budokan 2001 Revisited. Tombstone 143200-1/2. It's All Over Now, Sylph 2CDR. LB-numbers for this concert: LB-0941, LB-3837, LB-5410, LB-9844. Band introduction during Rainy Day Women #12& 35. 10 new songs (52%) compared to previous concert. 2 new songs for this tour.